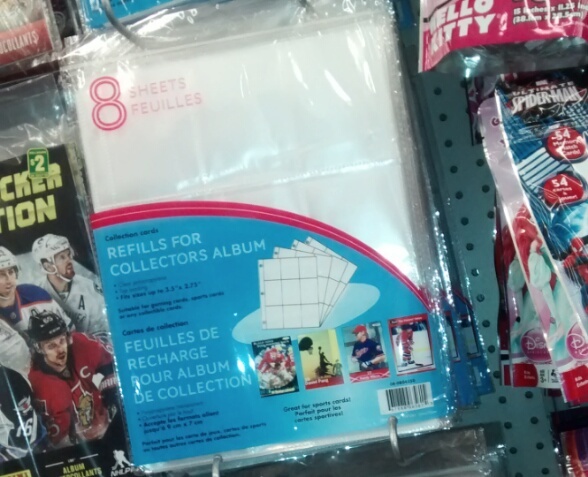 We recently posted a deal on zip up binders mentioning that they were great for coupons and several people mentioned that their local Dollarama stores did not have the baseball card holders to use in them. Since Dollarama is one of the cheapest options for these without waiting for them to be mailed from China, you will be happy to see that stores received stocks of them recently. I visited two Dollaramas in different cities over the past few days and both had 8 packs of baseball card insert refills for just a dollar. While bigger coupons, especially printed ones do not fit well, smaller ones including insert and mail to home coupons fit great. You can always fold them too. These are excellent for sorting the many coupons in that Maple Leaf peelie booklet too! Check your local Dollarama for this deal.